In 2013 the house Johns in Johns Close, off Gorsewood Road, will be 100 years old. It started life as a prize in a newspaper competition which led to a libel case in the high court! Johns Close, Johns is second house on the left. Small Owners Limited bought Fairby Farm on 29 February 1912, and Hartley Manor shortly after, with the intention of selling the land off in smallholdings. In late 1911 they were already advertising land at Hartley in the Daily Express. The Poultry World was looking for ways to boost their circulation and their advertising manager Mr McGregor hit upon the idea of a poultry farm as a prize. He discussed the matter with Small Owners in early 1912 and tactfully let them think they had thought of the idea. Small Owners thought the competition would "boom the company", so they agreed to donate the land and build the house in return for free advertising from the paper. They ran the competition for about 30 weeks from February 1912. The paper modestly claimed it was "The greatest prize ever offered for competition amongst poultry keepers". Each week they published a voting coupon for readers to choose someone within their own county. Readers were permitted to vote week after week for the same candidate. The person from each county with the most votes would then sit an exam to decide the winner. It was an instant success, circulation of the Poultry World rose by thousands. The Small Owners scheme also received favourable publicity in the form of advertising and an illustrated article in the 10 May 1912 edition ("A Triumph of Co-operative Organisation") where readers were told "those of our readers who are desiring ideal plots for poultry ventures cannot do better than take a few acres at Fawkham" (Hartley at this time was often referred to as Fawkham). On 31 January 1913 the candidates assembled in London for the 5 hour exam. This was followed by dinner and a trip to the London Opera House (now the Peacock Theatre). At the interval the theatre manager came on stage and said "When a manager appears before his audience it is usually to make an apology of some kind concerning the entertainment, such is not my unpleasant duty tonight. I have a more pleasing task to perform, and first I have to ask: Is there a lady named Mrs Alice O'Grady... in the house tonight?" One of the few female candidates, Alice Edith O'Grady, had triumphed by a single mark. She then received the first prize - a certificate to exchange for the deeds of her house at the offices of Small Owners. She was the candidate for the county of Cork, then part of the United Kingdom. Interviewed afterwards she admitted she was determined to become the candidate for county Cork "I canvassed all my personal friends and asked them to do what they could to help me. When I met any poultry fanciers at home or at the shows I asked them to give me their votes. I also wrote personal letters to all breeders of poultry in the county whose names I could find in catalogues, and I wrote to the county papers announcing the competition, mentioning that I intended being a competitor, and asking all poultry farmers to give me their support." Her efforts were very successful, it was said she polled 7,000 votes, about 200 for every week of the competition (another candidate amassed 15,000 votes). Mrs O'Grady visited Hartley to select the plot of land and specifications of the house to be built. It was different from the one originally advertised; also, the paper had paid Small Owners £150 for another 2½ acres after many said the original size of the prize farm was too small to be viable. 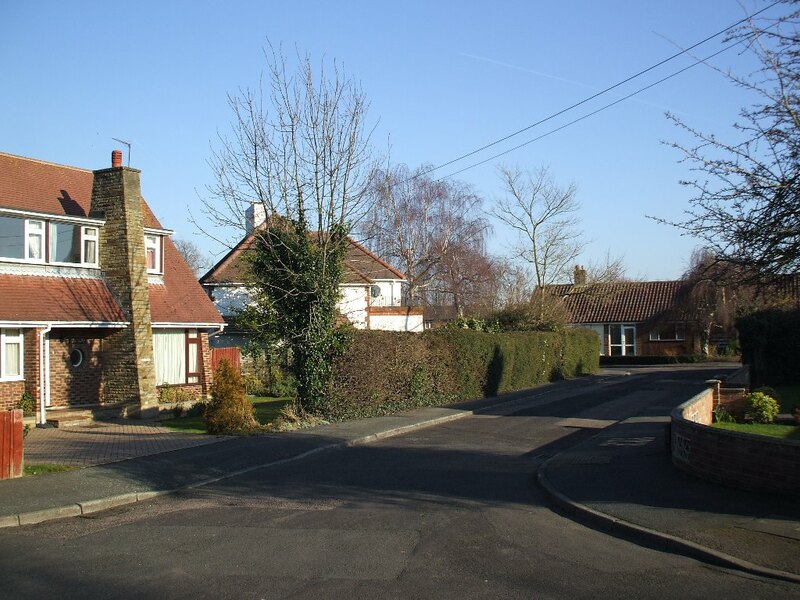 The estimated cost of house and the other 2½ acres was £350 - a bit less than houses go for in Hartley now! The 14 January 1914 edition of Poultry World had a picture feature on the new smallholding showing the house, orchard, chicken runs and poultry houses. Shortly after, Mrs O'Grady advertised for pupils in poultry keeping either at Coachford or Hartley. Inevitably perhaps she only owned the farm for a year, as it must have been difficult to manage at such a distance. The competition was an undoubted success for the paper which did not go unnoticed by its rivals, who acknowledged that the competition had made a great sensation. The following week, rival journal 'Poultry' criticised the competition, saying Poultry World had "masqueraded" as the donor of the farm. Poultry's business manager had visited Small Owners' London office, where he claimed the unnamed person he spoke to had said as far as they were concerned the competition had been a "rotten fiasco", something Small Owners subsequently denied. Poultry World sued for libel. In court Poultry World had to admit that although implied, the cottage had not been built until after the competition. But by the terms of the contract with Small Owners they were entitled to appear as the donors of the farm. The judge seemed a bit doubtful as to whether there was libel, but the jury took only minutes to find for Poultry World and award them £100 damages. Alice O'Grady was born in Cork in 1878 to Reuben Rogers, a railway manager. She married (Rupert) George O'Grady (1861-1938) in 1905. Her husband was descended from a landed Irish family who had formerly owned Aghamarta Castle in Cork. They owned a 54 acre farm at Coachford, about 15 miles from Cork. George managed the farm while Alice ran the poultry business. The O'Gradys were a protestant family and apparently largely non-political, but found it difficult not to be caught up in the Irish War of Independence (1919-21). At 2am on 19 March 1920 their home was raided by the British Military, which had been conducting many searches to find suspected IRA members and weapons. Her husband was arrested and money and jewellery stolen. Their plight reached the ears of the MP for Hull, Joseph Kenworthy who tabled questions for ministers, which she was convinced were instrumental in releasing her husband after five days. Mr Kenworthy later raised the matter in a debate on Ireland; he said the O'Gradys were most unlikely rebels, but led "an industrious and law abiding life" - as a magistrate he would have sworn an oath of allegiance to the Crown, and she had a son who was a British army officer in the war. He also mentioned the fact that she won the Hartley farm. According to Sinn Fein supporter Katherine Hughes, George subsequently resigned as a magistrate saying "In consequence of my own treatment and similar unjust cases reported to me, I find I cannot longer conscientiously continue to act as an impartial judge between the Crown and the people". Poultry World would have more links with Hartley. In March 1915 their expert Will Hooley moved here, to live at Ashleigh, Church Road (on the corner with Dickens Close). He had taken up an appointment with the newly formed Rural Development Company to advise on Poultry Keeping. He also ran a correspondence course in poultry keeping which included an optional practical course at Hartley. His job with Poultry World was to answer enquiries from correspondents sent to his home address in Hartley. This included the carcases of chickens for him to conduct autopsies - quite what the local postman thought of that is not recorded! This article tells of how the house called Johns, Johns Close was the prize in a competition amongst poultry keepers and how it ended in a libel case!